Treating gout. It is used to treat high uric acid levels in the blood or urine caused by certain types of cancer chemotherapy. It is also used to treat certain patients with calcium oxalate kidney stones and high amounts of uric acid in the urine. It may also be used for other conditions as determined by your doctor. 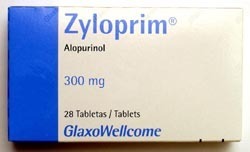 Zyloprim is used to help treat the signs and symptoms of primary and secondary gout (increase blood uric acid levels). Uric acid build up may result in crystal formation in the joints which can lead to sever pain and inflammation. It is also used to manage the treatment of leukemia and lymphoma. Certain cancer medications may increase the uric acid level in the blood, resulting in the symptoms of gout. Allopurinol (which goes by the brand names Aloprim and Zyloprim) is a drug that belongs to a class of medications called xanthine oxidase inhibitors. Allopurinol is prescribed for the treatment of chronic gout and is used to prevent rather than treat gout attacks. The medication works by blocking uric acid production. Uric acid is a waste product normally present in the blood as a result of the breakdown of purines. Excessive amounts of uric acid can cause crystals to form in the joints, which can lead to gout. Allopurinol is prescribed to prevent chronic gout attacks, manage high uric acid levels caused by cancer medications, and treat kidney stones. There are also a handful of off-label uses for which your doctor may prescribe allopurinol. 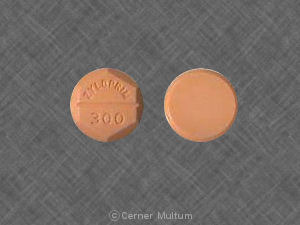 Allopurinol is available as a 100 mg. tablet. It is taken once or twice daily, usually following a meal.